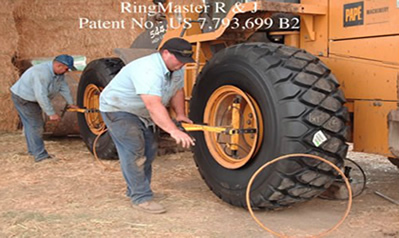 The ringmaster allows one person to push the ring and bead of a tire onto the rim evenly and safely. This allows easy installation of the “O” ring and the outer locking ring in as little as five minutes! 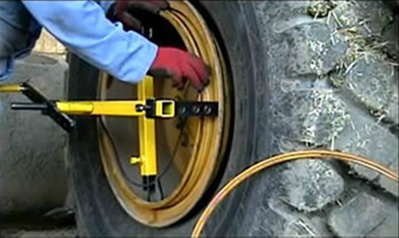 It is ideal for both small and large tire shops as well as for individual use. Our tests show that changing all 4 tires on a loader takes 47 minutes instead of 120 minutes per tire. It has been a pleasure testing the Ringmaster Tool. 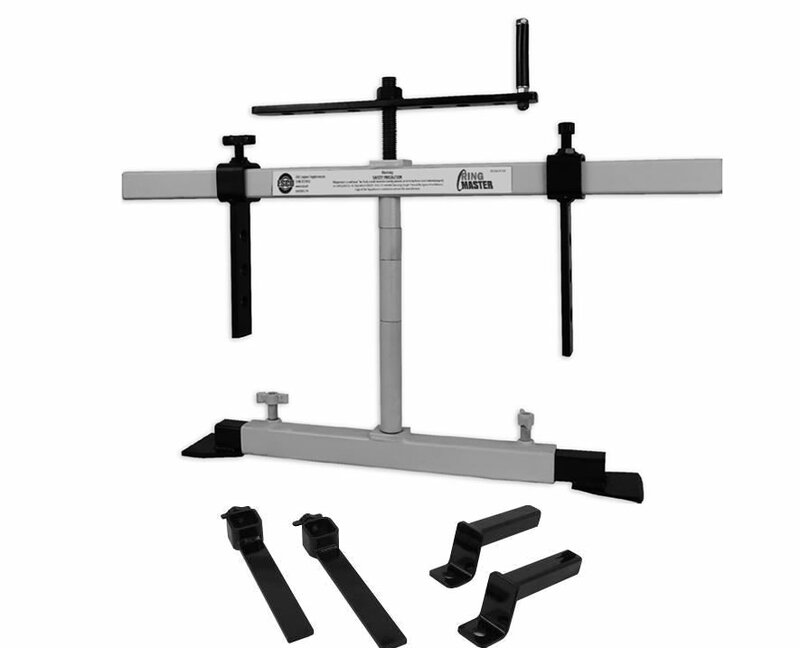 The design of the tool and the ease in using the tool are exceptional. We have found that after a short explanation on using the tool, any experienced service driver can use the tool with ease. We have let drivers with one year of experience and drivers with over fifteen years of experience use the Ringmaster and in all cases, they cut their time almost in half. 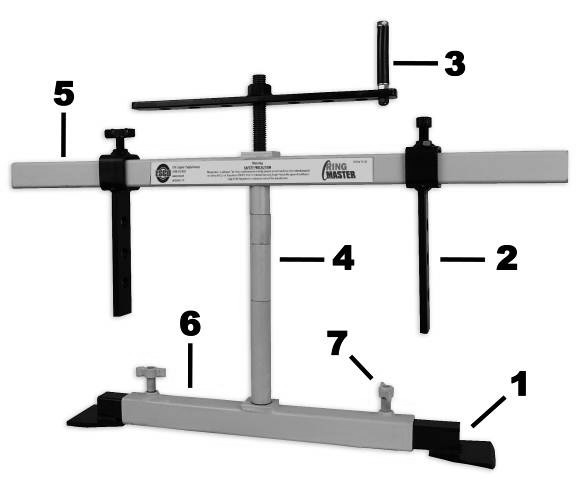 After a short explanation on using the tool, any experienced service driver can use the tool with ease. 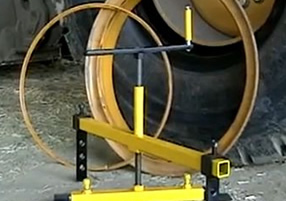 Tire Ring Master was developed with safety in mind.